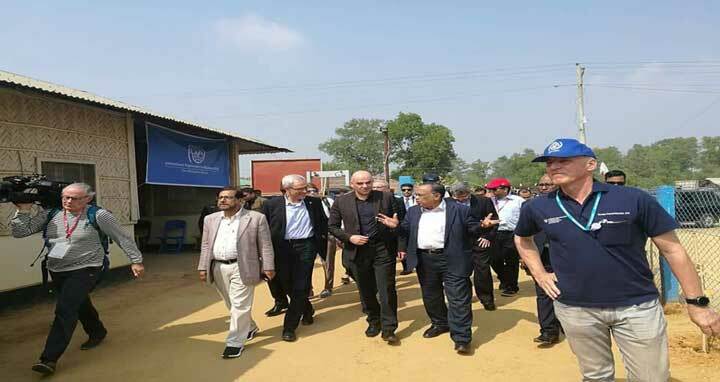 Dhaka, 6 Feb, Abnews: Swiss President Alain Berset arrived in Cox’s Bazar on Tuesday morning to see Rohingya situation. President Berset left Dhaka for Cox’s Bazar by a Swiss Federal Council Jet and reached there at 10:30am. He will visit the Kutupalong camp in Cox’s Bazar and will listen to the stories of horrific tortures faced by Rohingya people in Myanmar. The visiting president is scheduled to leave for Dhaka at 3:15pm and meet civil society representatives in the capital.